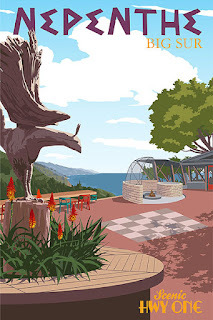 drivingandlife: DRIVING THE PCH - AGAIN! After my rekindling of fond memories punting a Lamborghini Gallardo down the Pacific Coast Highway from Monterey to Gordo, my good friend, automotive writer Howard Walker, who hails from the UK, via his now home in Florida, reports a similar experience – but with cars much more in vogue. He can take up the story …..
“So I'm lounge-lizarding at the Lamborghini party last Friday night at Pebble Beach, when Viju, my good buddy and editor at Robb Report, casually enquires "So what you doing tomorrow?" 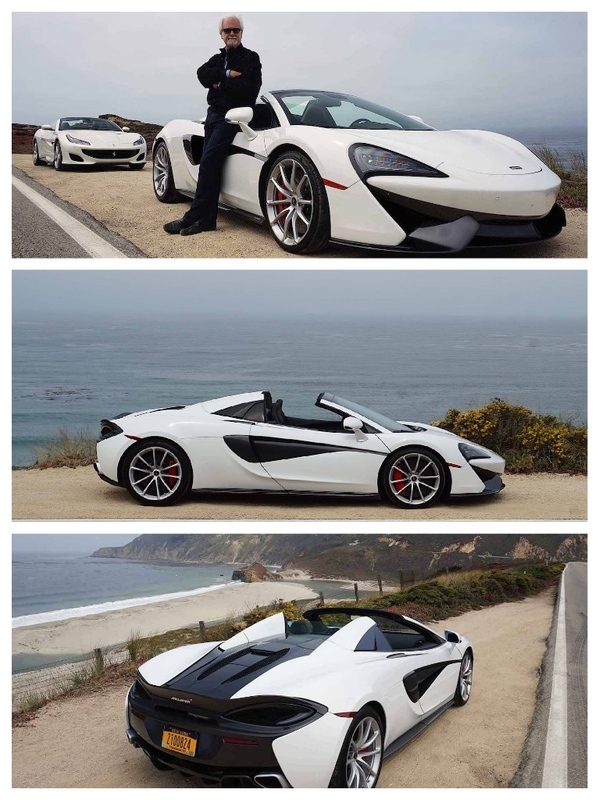 “Driving a new McLaren 570S Spider for a few hours.” I reply. "Oh, I'm driving a new Ferrari Portofino.” He says. “We should go somewhere for coffee". The result: a magical, manic, tandem blast down Pacific Coast Highway, for java at Nepenthe at Big Sur. Forget about asking if these two cars are worth their asking prices – of course they are. They are beautifully defined examples of automotive sculpture and engineering. As far as I’m concerned after sampling the 488 Spider recently, the Portofino is Ferrari’s finest work (but then there’s the Pista), and although the McLaren looks the business, and obviously delivers, in my style judgement it’s - Italy First: England (a close) Second.